Exodus have announced a UK tour, with support from Man Must Die! Thrash is a wonderful thing, and in the past few years, it seems like we’ve been spoiled with fantastic thrash albums. Thrash bands new and old have been releasing albums that will go down in history over the past couple of years. Gama Bomb’s Tales From The Grave In Space is thrash for the new generation, Evile’s Infected Nations was superb and Warpath’s Damnation showed that you don’t need a record label to blow people minds. Overkill released Ironbound, their best album in decades last year, Slayer are still going strong with World Painted Blood, Testament regrouped with Alex Skolnick to create a timeless masterpiece in The Formation Of Damnation and don’t get me started on Endgame by Megadeth. 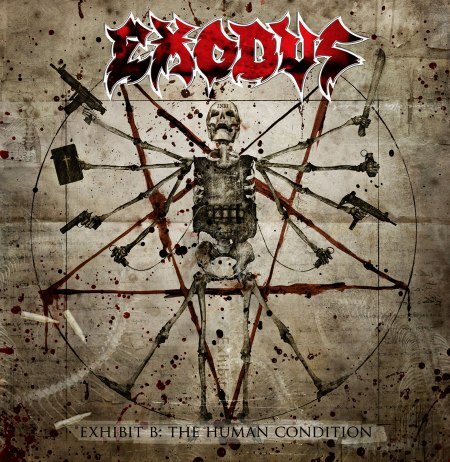 Now, this brings us to the band many say started it all, Exodus. Their past few albums have been good, but just not at the level set by their peers. Megadeth have announced a US tour with Exodus and Testament, but its not just any tour, its the Rust In Peace 20th anniversary tour, in which the band will play the entire RIP album in its entirety. This will be a fantastic show, you have no idea how much I’m hoping for this to come to the UK.